CrowdInspect is a free community tool for Microsoft Windows systems that helps alert you to the presence of potential malware on your network. It is a host-based process inspection tool utilizing multiple sources of information to detect untrusted or malicious process and network-active applications. Beyond simple network connections, CrowdInspect associates the connection entry with the process that is responsible for that activity. The tool runs on both 32-bit and 64-bit versions of Windows from XP and above. 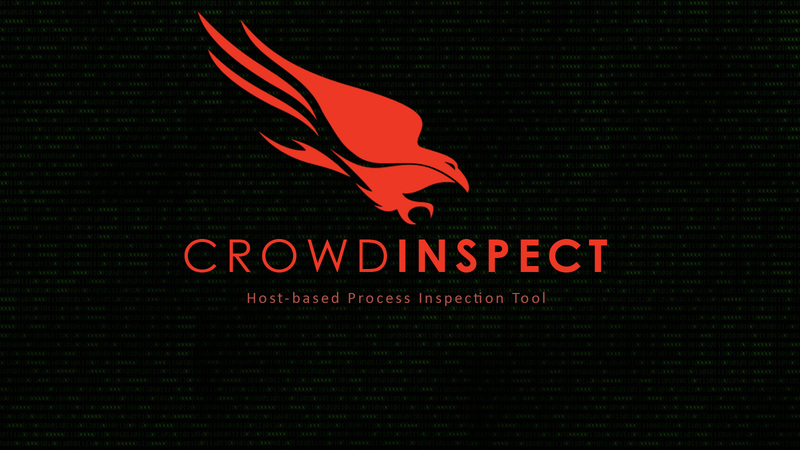 CrowdInspect captures process name, the entry's process ID number, local port, local IP address, remote port, remote IP address and reverse resolved DNS name of the remote IP address. The tool accommodates both IPv4 and IPv6 addresses. CrowdInspect records details of any entry that is associated with a remote IP address and maintains a chronological list of those accessed. You can click the "Live/History" toolbar button to switch between the regular live process window and the network history list window. Many pieces of malware achieve part of their goal by manipulating already running applications and injecting themselves into those processes. Regular antivirus products that only act upon the actual physical file contents would not identify this behavior. CrowdInspect features experimental detection of such behavior and the results of this test on each process can be seen in the "Inject" column. -- (o Gray icon): Not applicable/not available. No process is not able to be tested. ?? (o Gray icon): The process did not allow us to test for code injection. OK (o Green): The process did not appear to have any evidence of thread injection. !! (o Red icon): The entry appeared to have had a thread injected into its process. This is generally not a good thing or something usually encountered. Note though that there may be some classes of specialized software that does exhibit this behavior. The process/application should be investigated further. -- (o Gray icon): Not applicable/not available. No connection to the VirusTotal database was made or the process is not associated with a file. ?? (o Gray icon): The entry does not exist in the VirusTotal database. This is probably good! More extensive details for the particular selected entry in the list can be seen by either clicking the "AV Results" toolbar button or selecting "View AV-Test Results" from the right-click context menu for the selected item. -- (o Gray icon): Not applicable/not available. No response was received from the Team Cymru service or the process is not associated with a file. ?? (o Gray icon): The entry does not exist in the MHR database. This is probably good, although the absence of a positive response doesn't necessarily mean the process is not malware. !! (o Red icon): The entry DOES exist in the MHR database. The process is known to be malware. This is bad! -- (o Gray icon): Not applicable/not available. No connection to the WoT database was made or the entry's remote IP address does not have a usable valid domain name associated with it. ?? (o Gray icon): The entry does not exist in the WoT database. 0% ... 100% (o Red ... o Green icons): The WoT reputation score. 0% means that everybody who has rated this domain thinks it is untrustworthy. 100% means that everybody who has rated this domain thinks it is reputable and can be trusted.